Wednesday Engineering Challenge | Mrs. Foote's Math & Science -- Gifted, Middle School and whatever!! Build a house of cards. 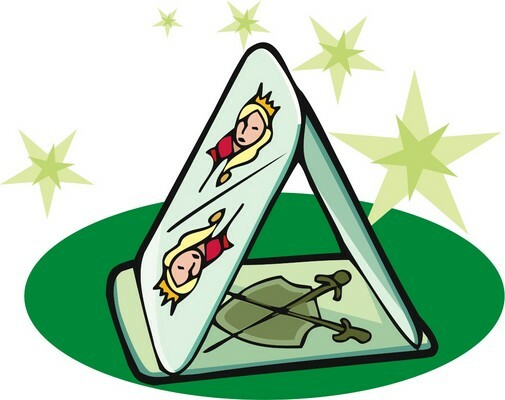 The challenge is to use either a deck of cards or a stack of index cards to build a house. You may use paperclips in your construction but nothing else. Try to do it without paperclips — or do it both ways. Send pictures of your creation to nancyfootehigley@gmail.com by Sunday, 12/20/2009 at 8 PM to get credit.